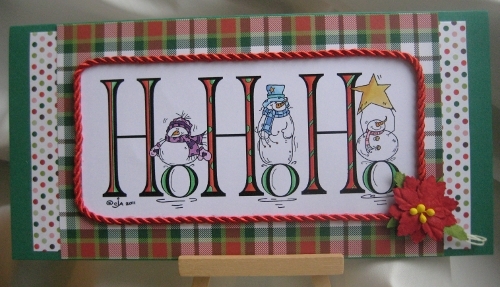 Hier kommt noch kurz eine zweite Challenge-Teilnahme beim Christmas Tic-Tac-Toe der Jingle Belles… zwei Reihen sind getroffen: snowman, red and green, stamping und dann flowers, red or green, ribbon. Das Stempelmotiv ist von Sassy Cheryl’s Stamps. 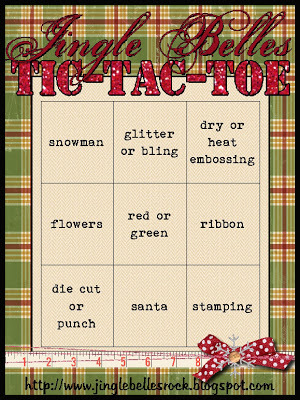 Just a quick post of my second entry into the Jingle Belles‘ Christmas Tic-Tac-Toe challenge… it works for two rows: snowman, red and green, stamping and then also flowers, red or green, ribbon. 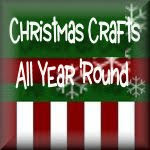 The digi stamp is from Sassy Cheryl’s Stamps. Oh Mann, das wird jetzt schwierig!! Die Karte ist ja noch besser!!! Kiana würde sie lieben, vor allen Dingen weil sie so auf HOHOHO steht!!! Hast du nicht einen Katalog aus dem man sich Karten aussuchen kann? 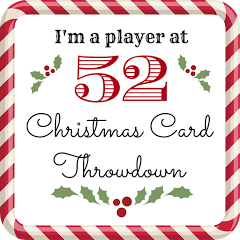 I adore that stamp … how fun is that … so glad you played again with us at jingle belles. Great card! You did a really nice job with that digi! Fabulous!! I really love this! This is great! Love that fun image!